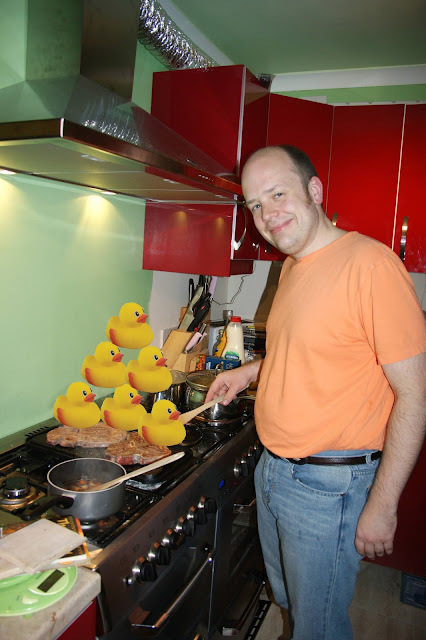 Phyl's Blog: Steak and ducklings! Charlotte: What did you have for lunch today, Amaia? Amaia: Yeah, we got pieces of steak with ducklings on top! I thought for a moment the school lunch hall had gone all cordon bleu on us!